At the end of April I attended the Women in Travel Summit for the first time. Held in Milwaukee, Wisconsin (yay! ), the conference was packed with learning sessions but most importantly fun stuff to do while networking with other writers and brands. Lucky for us Visit Milwaukee had planned several excursions for us to experience while in this beer and cheese mecca. Milwaukee is a badass city with breweries a plenty, delicious food, and monumental architecture. No wonder I had a blast right? I fell in love with Wisconsin a few years ago on my first visit to Madison, Wisconsin. Wisconsinites are a rowdy people always up for a good time. They also ALWAYS know where to find a good beer, strong cup of coffee, bloody mary, and the squikiest cheese curds. Hanging out in Milwaukee for a few days took my love for Wisconsin to a new level. 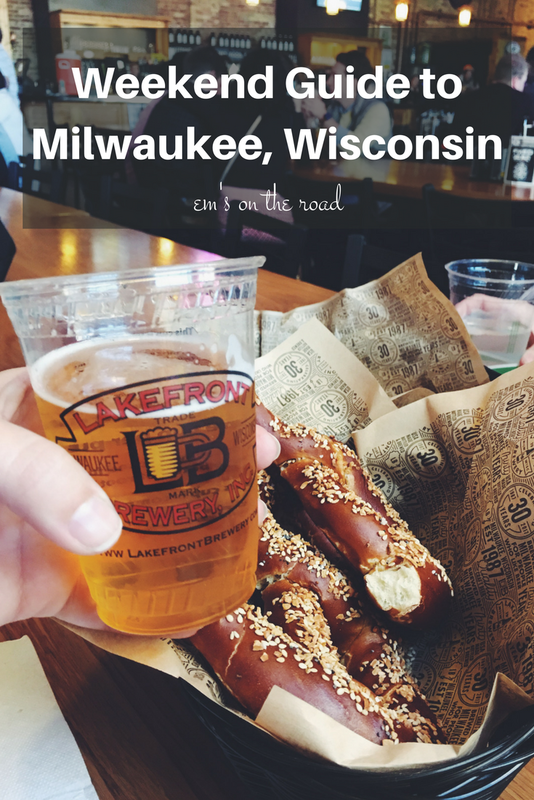 If Milwaukee isn't on your United States travel list it needs to be. 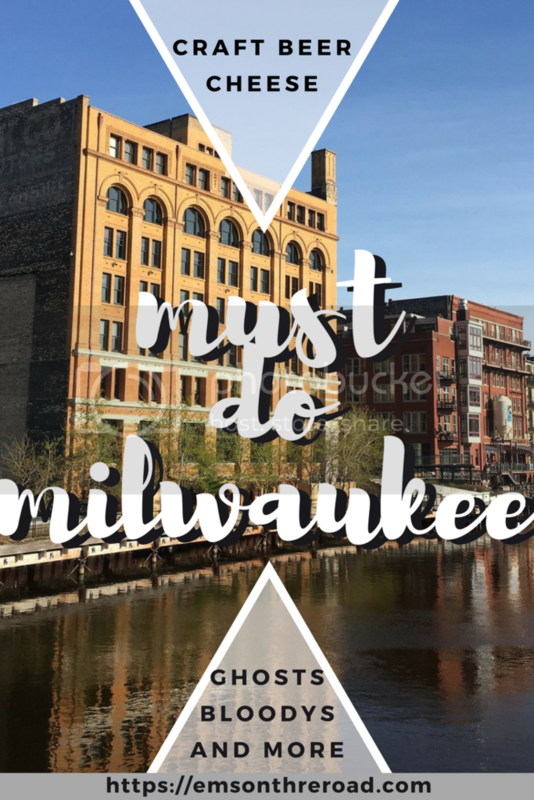 To help persuade you even more... these are 6 must do activities in Milwaukee, Wisconsin. The Shops of Grand Avenue - incredible arcade with enormous skylights, chandeliers, and an intricate network of staircases. This 19th century arcade turned shopping mall is set for redevelopment. The Mitchell Building - Completed in 1876, this is one of the most ornate Second Empire buildings I've ever seen in the United States. This style comes from Napolean era France and is characterized by their Mansard roofs. City Hall - This monumental Flemish Renaissance building completed in 1895, and at the time, it was the third largest building in the United States. I am definitely going to tour the interior on my next visit. I talk a lot about craft beer but I appreciate all forms of craft booze. When in Milwaukee you'll get your fair share of great beer, but don't miss out on trying some of their over the top bloody marys. I got a crash course in Milwaukee Bloody Marys on the Bloody Mary Brunch Tour thanks to the fine people of Milwaukee Food Tours. - Bloody Mary Brunch Tour in the Historic Third Ward (two birds, one stone). We spent a few hours walking through the Historic Third Ward sampling the gamut of bloodys from the spicy to the herbal. Surprisingly my favorite was the Bloody Maria from Margarita Paradise in the Milwaukee Public Market. The Bloody Maria uses tequila instead of vodka and had a spicy kick to it. It paired exceptionally well with our chorizo breakfast taco. I got along with Anna, owner and tour guide extraordinaire of Gothic Milwaukee, right away. She's freaking hilarious and knows so much about Milwaukee. Who better to show us around? A group of us Midwest travel bloggers joined Anna on her Saturday night tour downtown. It was a windy night but Anna distracted us with incredible stories about maritime disasters and hotel hauntings. She is easily the most entertaining tour guide I've ever met. Gothic Milwaukee is equal parts spooky history and comedy with Anna's dry sense of humor and engaging stories. Just look at this space. It is incredible. No way I could I resist a private yoga class here, even if it was at sunrise. This atrium is unreal; the fact that we had it all to ourselves for a few hours made it even sweeter. The light, the view, the architecture... a shutterbug's dream space. Check out their event calendar for other yoga classes. More than just a typical tour, the Lakefront crew cracked jokes the entire time and kept our cups full courtesy of taps strategically placed throughout the brewhouse. After the tour make sure you take time to hang out upstairs in the hall. Sample some more beers and order some deep fried cheese curds. Mexican-style lagers are having a moment in craft beer and I really enjoyed Lakefront's rendition, El Wisco. It had a much more vibrant flavor profile with hints of spice and hops. The Fuel Cafe (coffee stout) and Riverwest Stein (amber lager) are year-round beers that are equally delicious. The Harley museum is equally perfect for the Harley enthusiast of course and design aficionado. The entire experience is so well thought out and beautiful. The museum is two floors, laid out sequentially beginning with the earliest motorcycles moving up to present day with knowledgeable staff located throughout the galleries if you have any questions. Bikes glisten from one end of the museum to the other labeled with their respective years, some of which have never been ridden. The candy painted chrome gas tank instillation was by far the gem of the collection (for me at least). The even have a few hogs you can pose with for the perfect photo op at the end of your self guided tour. Thank you to Visit Milwaukee for giving us the opportunity to experience Milwaukee. Having only visited one brewery, I obviously need to plan a return trip as soon as possible.